Do you sometimes feel that salon treatments do not last more than 2 weeks and may not be worth the money? 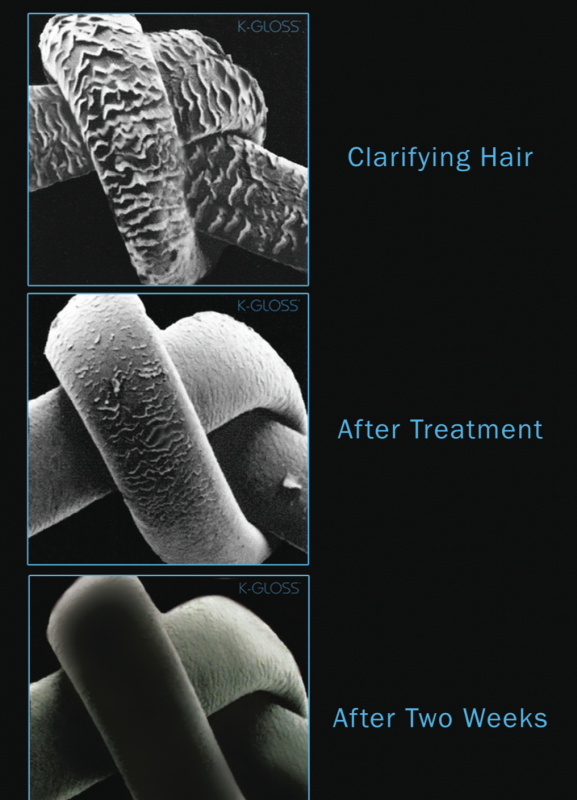 Well unlike conventional treatments, K-GLOSS actually continues to repair your hair even after leaving the salon. With its 90% water based formula, the treatment is able to penetrate into your hair faster and give longer lasting results. 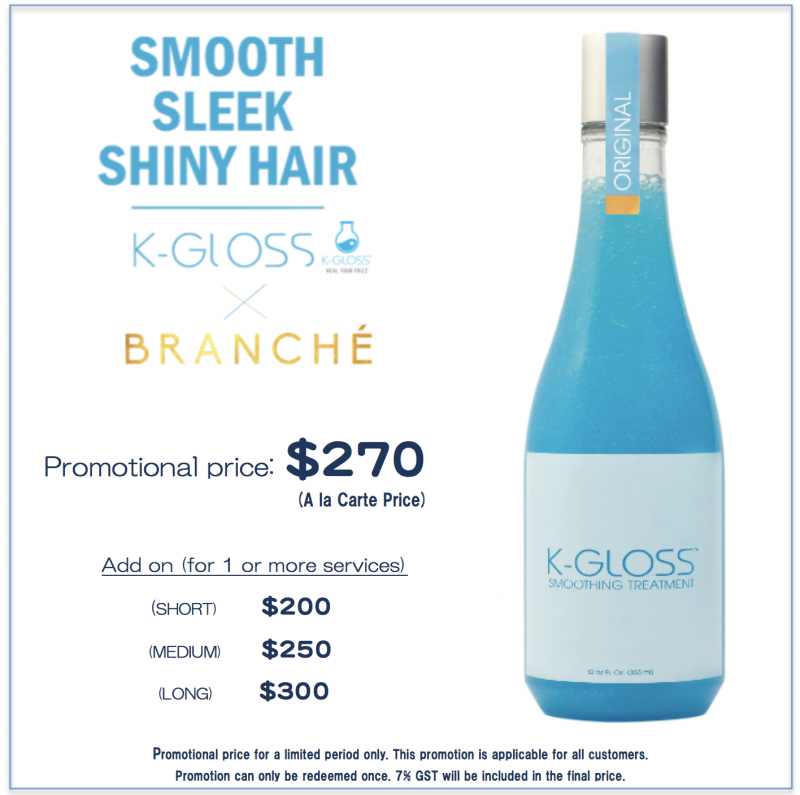 K-GLOSS leaves your hair smooth, lustrous and frizz-free and allows hair colour to fade at a slower rate. Suitable for normal to chemically-processed hair, K-GLOSS protects and rebuilds your hair with the keratin and collagen infused formula. A 40% discount on the a la carte price is given for all customers trying out K-GLOSS for the first time!